As our civilization rushes headlong towards collapse, it seems there is nothing we can do to avert catastrophe... or is there? For decades, American were vaguely aware that Islamist barbarians were in the deserts of the Middle East and in the mountains of Afghanistan and Pakistan, executing "infidels" and raiding villages with unrecognizable names. The Muslim world seemed far away, remote, and irrelevant to our daily lives. Then came the terrorist attack of 9/11, followed by attacks at Fort Hood, the Boston Marathon, San Bernandino, Orlando, and more. Now terrorists seem to be emerging everywhere, unleashing senseless death and destruction on our nation. They are here, and their goal is nothing less than global conquest. Motivated by ancient prophecies, they are flooding into Western countries, determined to conquer us and establish a global Muslim caliphate. 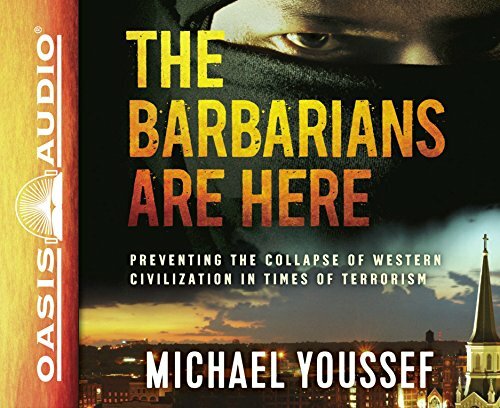 In The Barbarians Are Here, Dr. Michael Youssef provides clear insight into the motives and mission of the Islamist barbarians - and he offers practical steps we can take right now to begin a New Reformation that will restore the hope of Western civilization. We are not doomed to destruction, even though the barbarians are already here. It's not too late. But we haven't a moment to lose.